Founded in 1995, United Structural Systems Ltd., Inc. is a third-generation family-owned business with the professionalism and quality service Lancaster can trust with their commercial and residential foundation repair, waterproofing, and wall realignment services. At United Structural Systems, Ltd., Inc., we pride ourselves on being professional in our appearance, conduct, and a high-level of service. Our team is knowledgeable about the best systems and technology in foundation repair and we make sure our clients know what is happening with their property during every step of the project. Every building is different so every foundation is different, which means that there is no one-size-fits-all solution. 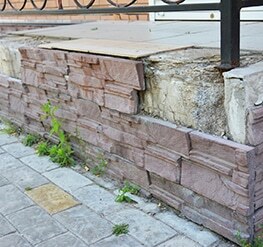 Our team is trained to handle the unique foundation problems for any home or business. For more information about our services, contact us at 859-548-2684.